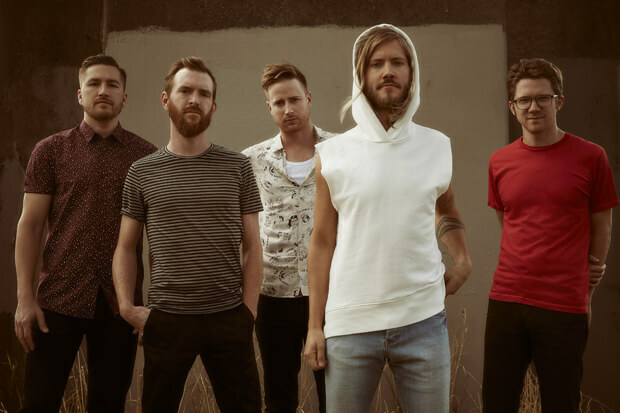 Moon Taxi soared to new heights in 2018. The Nashville-based hitmakers kicked off the year by dropping their fifth album, Let The Record Play. Their first effort released under contract with RCA, it includes their biggest streaming hit to date: lead single “Two High.” With more than 113 million Spotify streams and counting, the release introduced them to even more fans and opened new doors. They celebrated their success with a string of televised performances including a set on Jimmy Kimmel Live. And that momentum is guaranteed to carry over into the new year. Today (February 5), the quintet kicks things off by shining light on Kacey Musgraves. Last year was an equally big one for the country-pop princess. Her album Golden Hour dropped to critical acclaim. This was enough to nab her four nominations at the 2019 Grammys, including one for Album Of The Year. Ahead of this weekend’s ceremony, Moon Taxi decided to pay tribute to the twangy diva by putting their own spin on album highlight “Slow Burn.” Staying true to the single’s stripped-back aesthetic, it is a must-hear moment complete with an equally compelling video. We’re excited to partner with Moon Taxi to premiere the “Slow Burn” video. Check it out below!